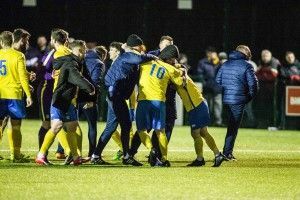 In only their second season competing in the FA Vase, Stockton Town have exceeded all expectations by reaching the last 16 and they have a great opportunity to progress into the quarter finals this weekend, having the crucial home ground advantage. 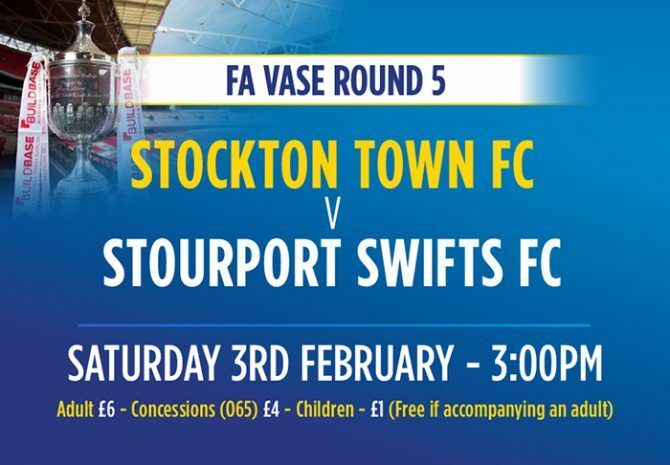 The Anchors welcome Midlands Premier League side Stourport Swifts to Bishopton Road West in this Fifth Round Tie. Stourport is a town in North Worcestershire, England, a few miles to the south of Kidderminster on the River Severn. The Swifts have a long history and were founded in 1882 they settled at their current ground Walshes Meadows around 40 years ago and they’ve progressed steadily in the last couple of decades to be an established Step 5, Midland Premier League side. Stourport have reached this stage once before in 2001 and will be going all out to improve on that. The Swifts have played only twice since the turn of the year which isn’t ideal preparation obviously , however in their favour is the fact players will be fresh and free from knocks etc. They currently lie in 18th in the Table but have several games in hand and perhaps this position is a little misleading. They will also hope the recent loss of their leading scorer to a team higher in the pyramid will not be significant. We hope Stourport’s players, officials and supporters enjoy their weekend on Teesside but go home slightly disappointed. The month of January has been mixed, to say the least, for the Anchors. After a run of 6 consecutive League wins in December, they’ve had 2 terrific Cup victories against high Flying North Shields in the League Cup and the talented expensively assembled West Auckland in the previous round of the Vase. However they’ve suffered 3 defeats in the last 4 League games, in defence those games were against top sides and the performances in two of them certainly could have brought the points home with a bit more luck. So no lack of confidence from the players and the coaching staff and as they’ve proven on several occasions this season, they’re a match for anyone when they turn it on especially at home. Fortunately Stockton don’t have a midweek fixture for the first time in weeks, so the Manager can prepare the squad without any worries or distractions. Manager Michael Dunwell who has narrowly missed out on a Vase Final himself twice as a player hopes to have a full squad to pick from this Saturday, except for Matty Garbutt who is on holiday. 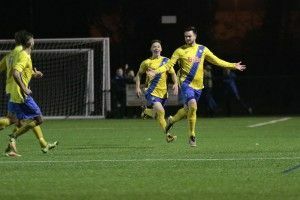 Although new to this competition, the Anchors squad contains a handful of players who have experience of the later stages of the Vase and 30 goal striker Jamie Owens who scored both goals in the previous round will be keen to go one better than the unfortunate semi-final loss he suffered with Shildon in 2013. Club skipper Adam Nicholson slowly returning to match fitness after 6 months out will be hoping to make his first Vase appearance this season and Nathan Mulligan and Kevin Hayes will be relieved their suspensions picked up in the previous round are over in time to line up in this important game. 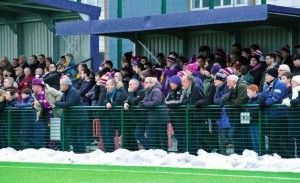 With no Boro home game this weekend a large crowd is anticipated, so get there early and have a pre match pint or cup of tea in the Clubhouse whilst watching the midday game on TV. 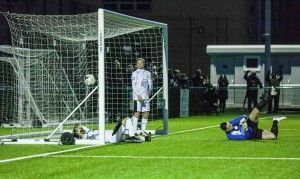 We hope that as in previous rounds the Town will get behind us and inspire the players to perform again. The Anchors have produced some cracking games and goals to watch this season here at Bishopton Road especially in the Vase, no reason to expect it to be any different this week and everyone is looking forward to a similar experience.